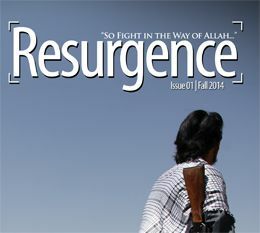 Seven months in the making, al-Qaeda’s as-Sahab Media Foundation has released the premiere edition of its new English magazine, "Resurgence." It has 117 pages and is filled with glossy graphics and articles about jihad and the war against America, all in understandable English. The content is global, but focuses a lot on the newest branch of al Qaeda in Pakistan, India, and Bangladesh.